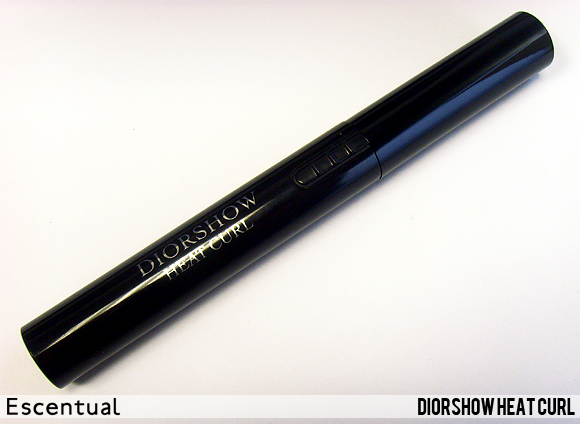 The Diorshow Iconic Overcurl mascara is a high-tech tool that lengthens, volumises and curls the lashes with its polymer K formula. These polymers create and set a natural-looking curl. The formula almost nourishes the lashes with every use, strengthening them and making them more susceptible to curling. 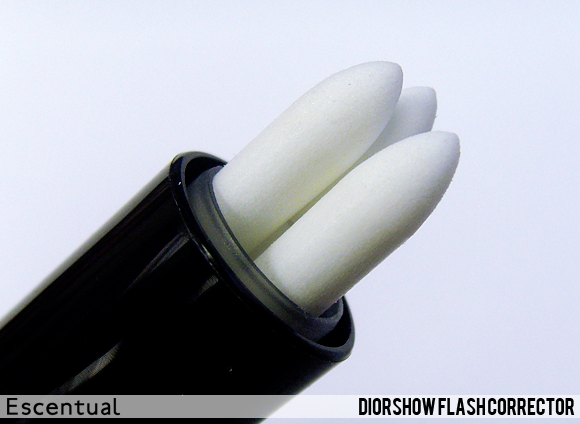 The curvature of the wand ensures that you can reach almost the entirety of your lash line for an even coat. The cross-hatch of the bristles grabs each lash, and the varying lengths of the bristles creates texture and intensity. 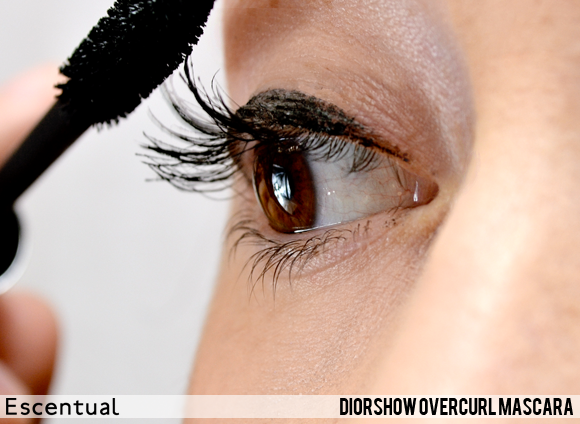 The curvature of the wand ‘scoops’ the lashes up and out, immediately lifting them. Wiggle the wand through the lashes and then hold it at the tip for a few seconds (as above) to allow the formula to set the curl a little, before repeating. 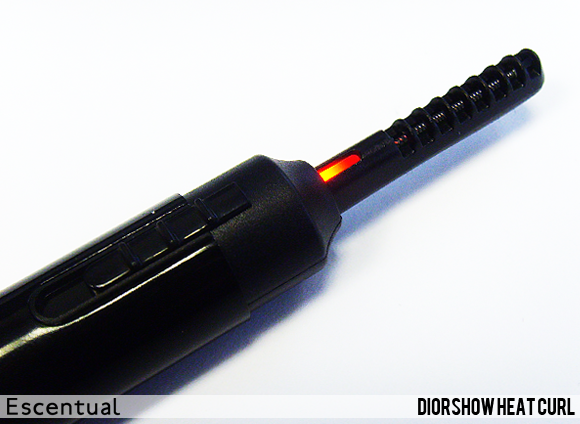 To supplement the curl of the Overcurl mascara, Dior have also released the limited edition Diorshow Heat Curl lash curler. This mascara-sized tool is portable, safe and easy to use. 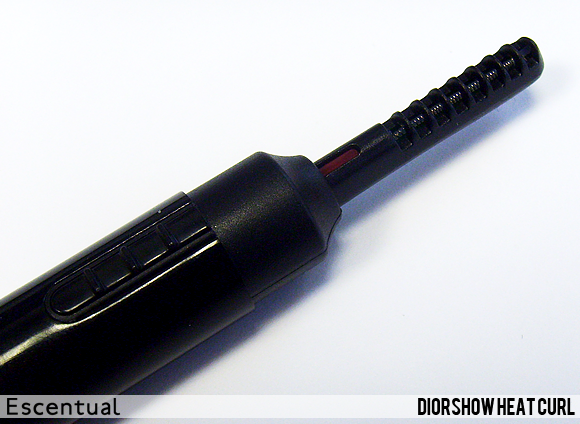 Take off the cap and you’ll find a precision wand with an exposed heat element. The plastic bands stop you from touching your eyes or skin with the warmed metal. Click the switch up once for moderate heat that will curl lashes even with mascara on, and click twice for a higher heat that curls and sets bare lashes more quickly. 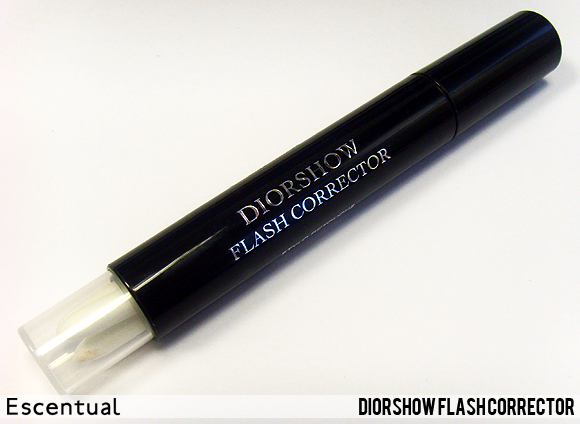 Another limited edition release is the Diorshow Flash Corrector, an incredibly useful tool – especially if you’re a fan of eye liner! 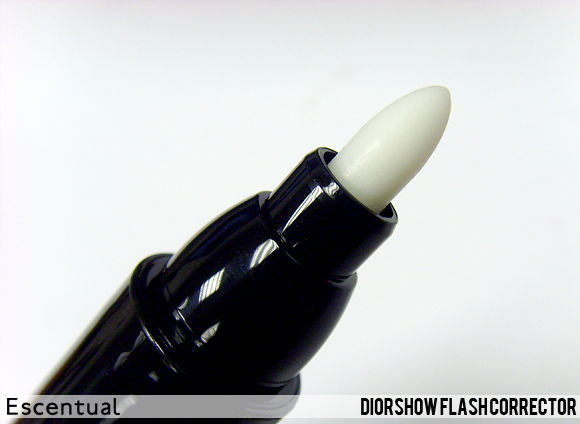 It sorts out wonky eyeliner, mascara overspill and lipstick mistakes in a flash. The precision pen tip draws up remover fluid the from the barrel of the pen, which cuts through even waterproof mascara smudges on the skin. Be sure only to use the pen on localised, smaller mistakes, however – stick to traditional cleanser if you want to remove all of your mascara or eyeliner. As well as the pen nib that’s already supplied, there are three additional nibs at the other end of the pen. To replace a used nib, simply pull it out and push a clean nib in. Leave to stand upside-down to allow the fluid to soak into the new pen nib. This entry was posted on Thursday, February 21st, 2013 at 10:00 am and is filed under Make-up, Spotlight On, Swatches, Tried & Tested. You can follow any responses to this entry through the RSS 2.0 feed. You can skip to the end and leave a response. Pinging is currently not allowed.